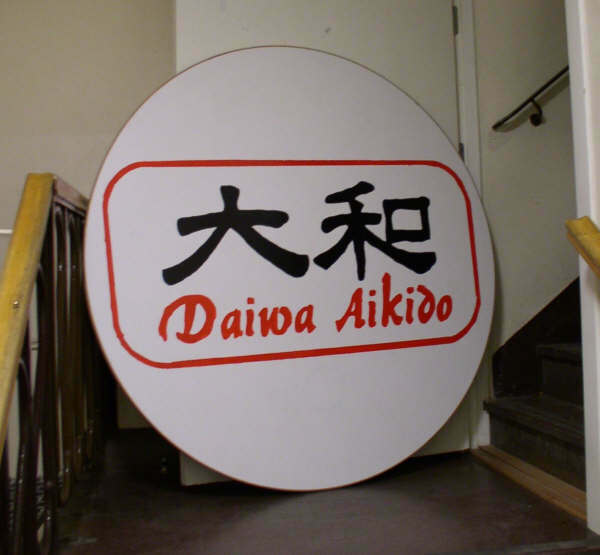 The Dojo is situated in Svartb�ckens f�rskola, Loftet. Tuesdays 19.30-21 for all over 15 years and who practiced at list three months. Here, practice we Bukiwaza. Children & Youth (up to 16 years) pay only 400 SEK for 5 months. then, if they want to contnue, have to pay the adult fee. Adult beginners will pay 200 SEK in membership, included 4 training class, and 400 SEK for the rest of the 5 months period. Advanced Adult pay the facile price of 600 SEK for 5 months. 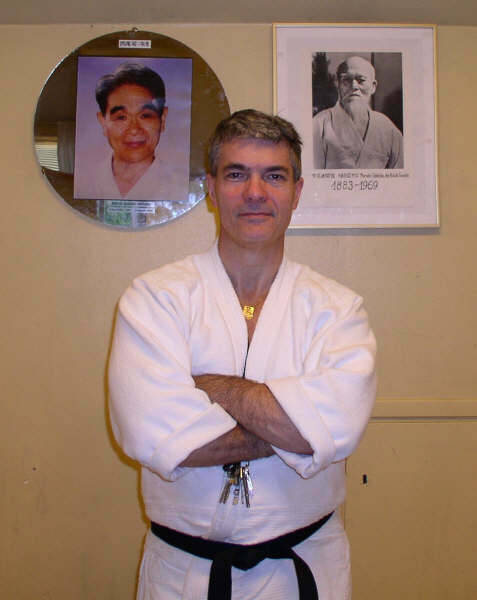 At present we must content ourselves with Carlos Enguis who got his 5 dan in Aikido by Sakamoto Sensei 2008 and 2 dan in Toho 1999 by Nishio Sensei. Carlos may not to be the world's best sensei, but he is enough for us. 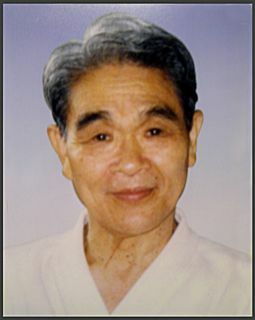 Carlos began practice Aikido in 1969 for Ichimura sensei in Uppsala Aikido Club. 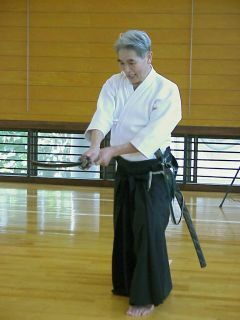 After a year Aikido training, he started with power-lifting and 1980 he finally came back to Aikido and since then has been training continously for 30 years�r (we are in i 2010). 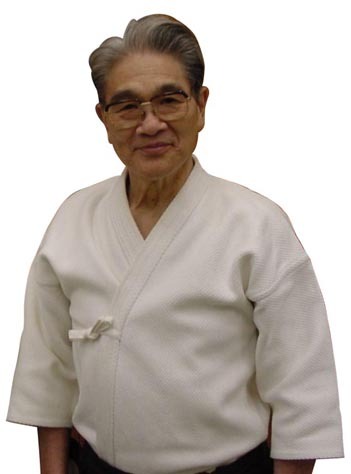 Until 1986 trained Carlos for Ichimura sensei and from 1986 until March 2005 was Nishio Sensei who was the Sensei of Carlos. On 15 March 2005 died Nishio Sensei and since then have Carlos to be his own teacher. 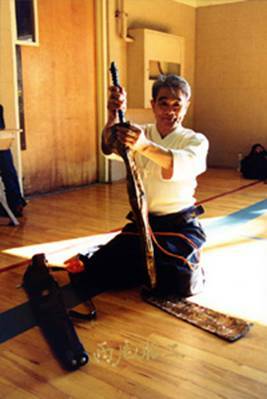 We put all our erffort in to train and develop Nishio Budo. We do not consider Aikido as a Martial Art but as the life's key. The key that opens for us the door to the cave hides life's treasure. It sounds like a fairy tale, right? Martial Art are trained to be the best for a short time in life and hope to be remembered by later generations. Some accomplish this feat, but not without damage. Most often find them selves in the shadow dimension. Aikido is trained to understand our origines. 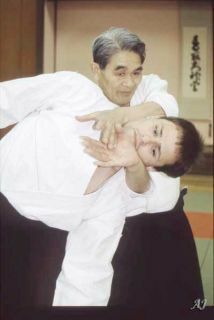 Aikido teaches us to go and eat again, to meet our friends and enemies with respect and see the world through new eyes. And this gives no physical or psychological damag. When we train Aikido we do reseach in history. We act more like archaelogists than struggle, for it is the Japanese story we are trying to study and understand. To which we are for to? We are for all who want to learn more about what the way of the sword means. But all are welcome to try.